Trips home for the holidays always present opportunities to continue my family history research. Aside from the usual culinary delights of Thanksgiving, this trip included a taste of the “old country” provided by my brother and sister-in-law from Cincinnati. Recently the Oldenburg mailing list http://list.genealogy.net/mm/listinfo/oldenburg-l discussed traditional northern German recipes. 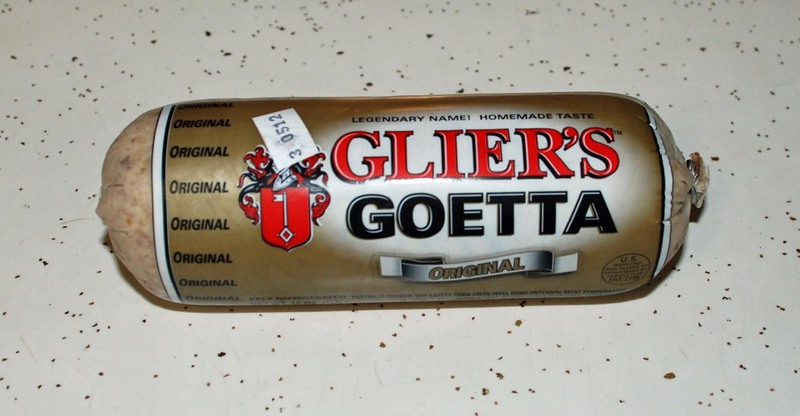 Goetta, from the low German “götte”, just sounded too good to pass up. After all, as Emeril Lagasse says, “pork fat rules”! Goetta is a breakfast sausage of German-American origin that is popular in the greater Cincinnati area. It is primarily composed of ground pork and beef, steel-cut oats, and seasonings. 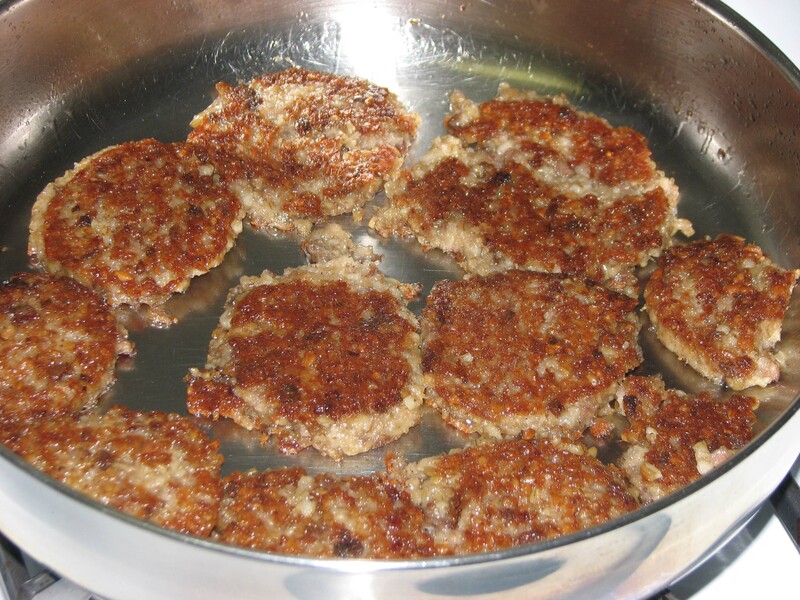 Goetta likely originated with German settlers from the northwestern regions of Oldenburg, Hannover, and Westphalia who emigrated to the Cincinnati area in the 19th century. Goetta was originally a peasant dish, meant to stretch out servings of meat over several meals. Two festivals are held near Cincinnati each year, the “Original Goettafest” in Newport, and “Glier’s Goettafest” in Covington. As for me, I love it! It has a slightly “toasted” flavor due to the oats, and has less grease. I may like it better than plain sausage patties, and that’s saying something. Next on the list is “birnen, bohnen und speck” or “pears, beans and bacon”! I came to your blog after reading your post on the listserve. I love it. I have a blog, too. It’s at http://jonesfamilymatters.blogspot.com You can search on Oldenburg, Holdorf or Vonderheide to see some of my German roots. Love the Goetta. But I must admit that rather than buy the mass produced Gliers I still like to drive up north to Winners Meat Market in Osgood, OH (West of Ft Loramie, East of North Star). I got hooked on Goetta as a kid. With parents who were born and raised in Minster, OH, we used to visit relatives in that area on a regular basis. We always came home with various link sausage, Goetta and Blutwurst. I’ll let my brother know about Winners Meat Market. He lives in Liberty Township and brought the Glier’s to me. He likes to explore new places, so I’ll send him to Osgood. I have a Wendeln connection in my family tree that I’d like to run by you if you don’t mind. It’s a bit of a puzzle.